Mostly Board Games: All is revealed October 23rd! All is revealed October 23rd! 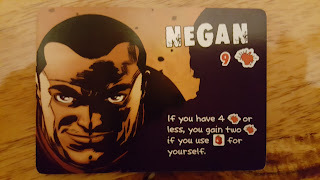 If you like playing board games and also can't wait until the end of October to find out exactly what the story with Negan is and more importantly - who Negan killed.. This is your edition of this well made dice game.